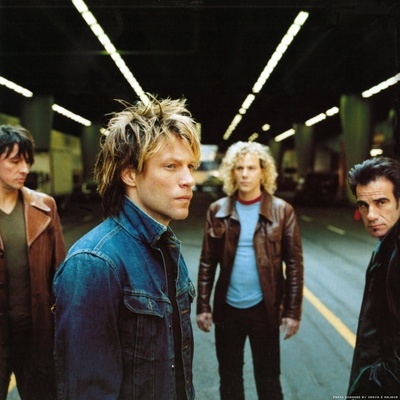 Bon Jovi is a hard rock band from Sayreville, New Jersey. Fronted by lead singer and namesake Jon Bon Jovi (born John Francis Bongiovi, Jr.), the group originally achieved large-scale success in the 1980s. Bon Jovi formed in 1983 with lead singer Jon Bon Jovi, guitarist Richie Sambora, keyboardist David Bryan, bassist Alec John Such, and drummer Tico Torres. Other than the departure of Alec John Such in 1994 (which pared the lineup down to a quartet), the lineup has remained the same for the past 27 years.